Truffles will put a smile on anyone's face – and they're so easy to make. Plus it's vegan, low carb, and keto friendly. Put cashews and cold water in a blender and blend at high speed for 1-2 minutes. Scrape the sides down and blend again until the mixture is the consistency of heavy cream. Meanwhile, in a double boiler heat the chocolate until it's all melted. Cool the chocolate until it's comfortable to work with and fold in the cashew cream (making sure not to stir too fast or you'll create bubbles). 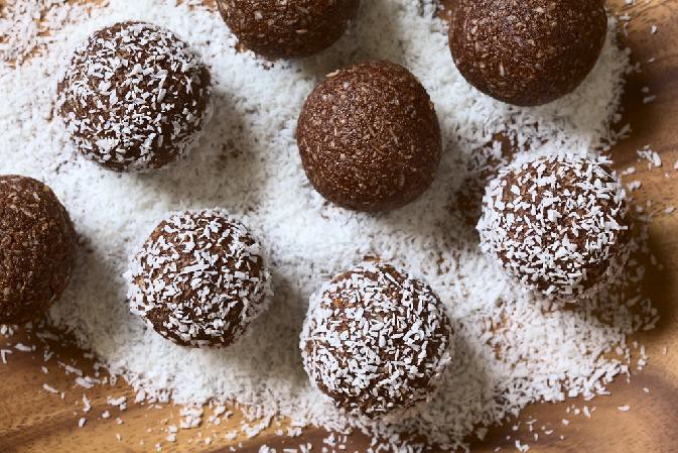 Cool in the fridge for 2 hours.Take out small balls, roll in cocoa powder and store in fridge/freezer.